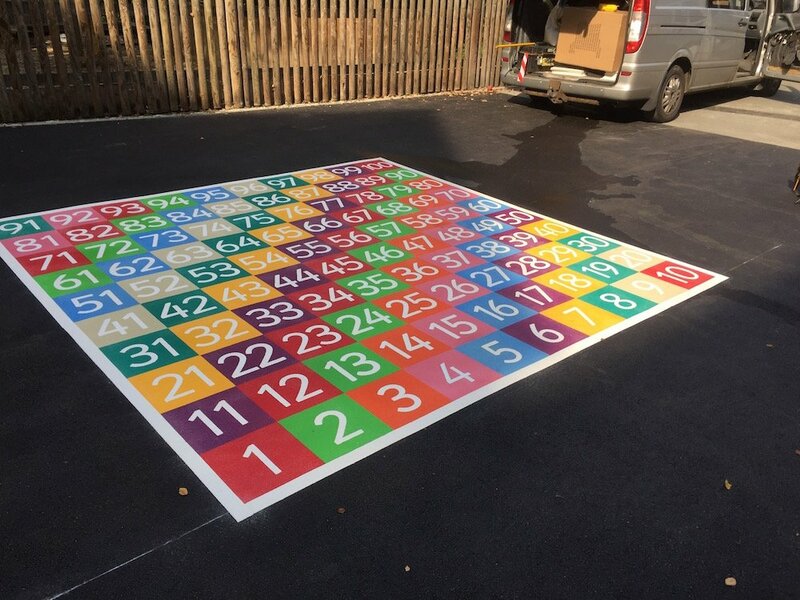 first4playgrounds just completed another installation. 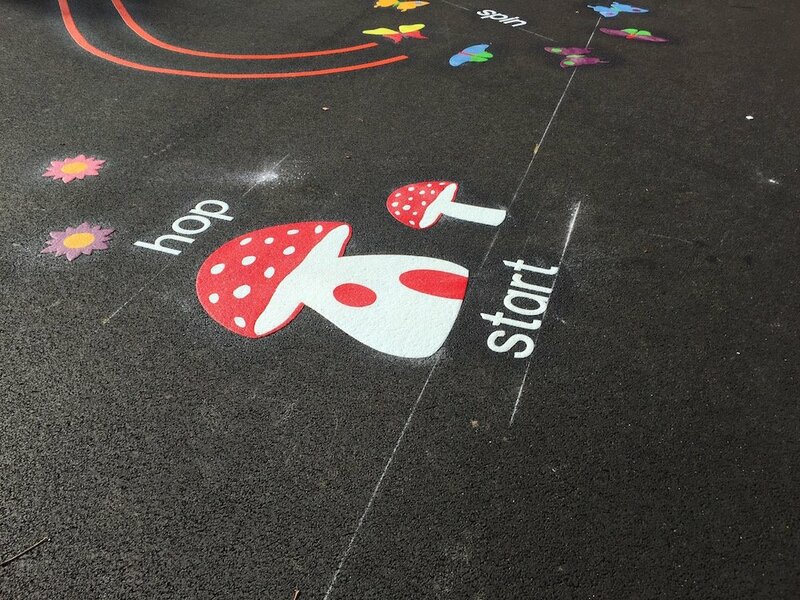 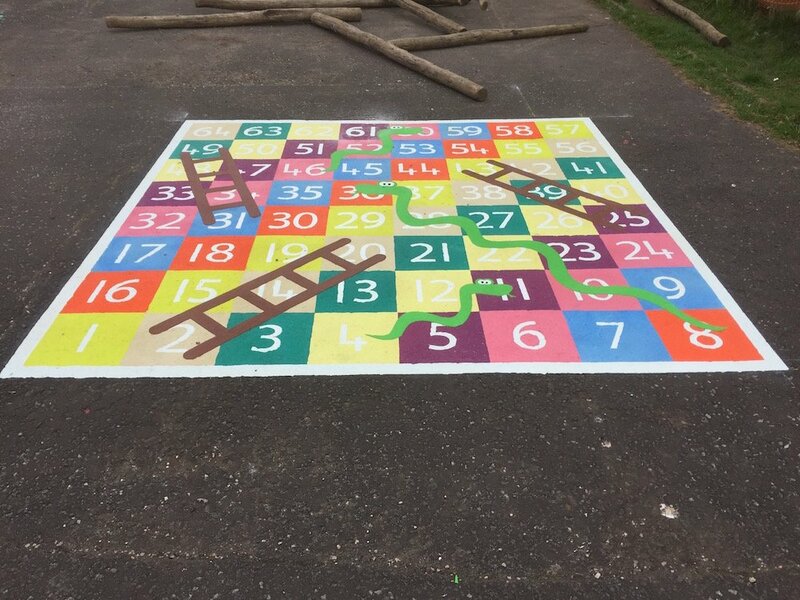 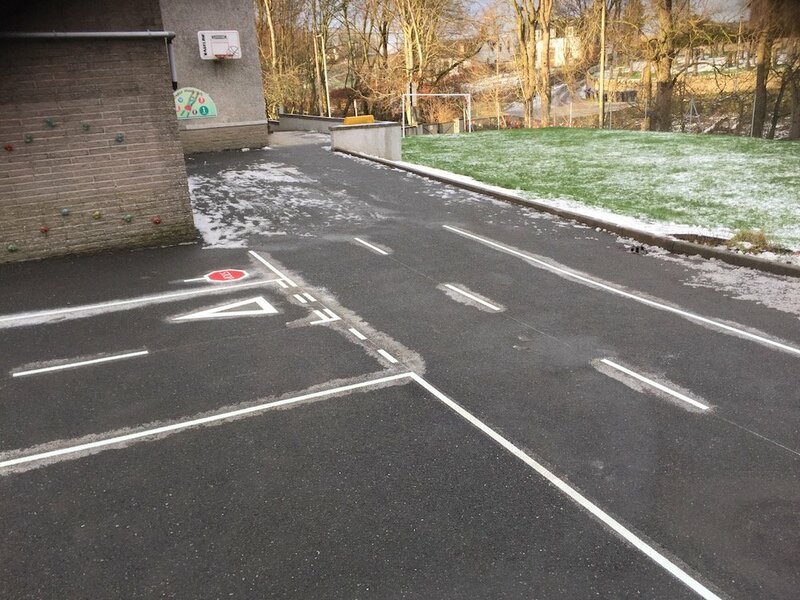 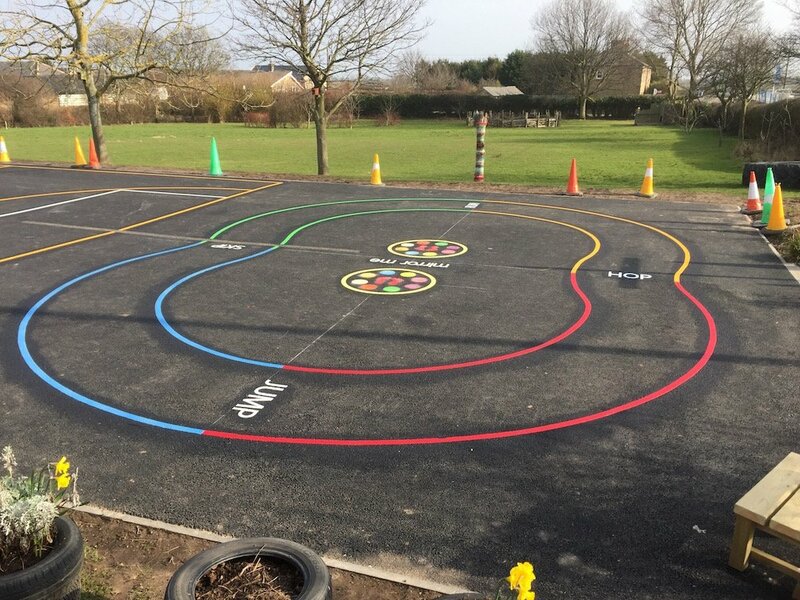 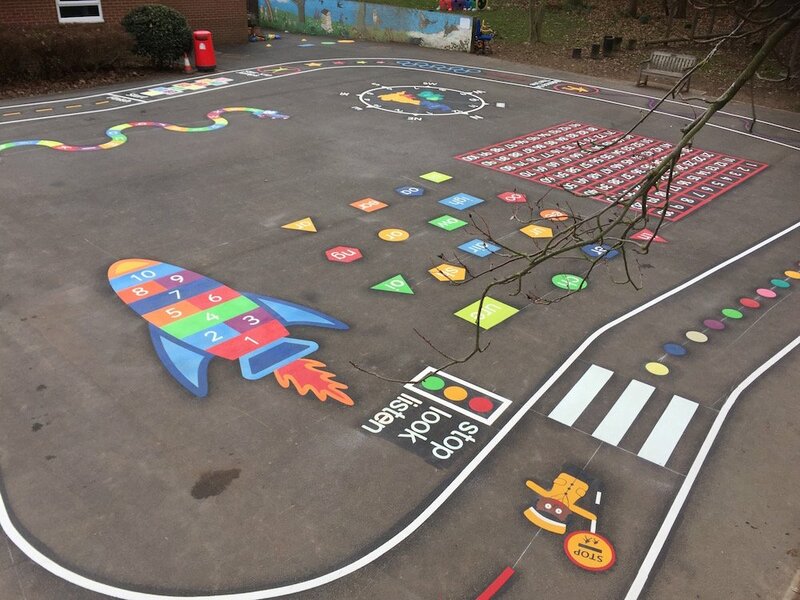 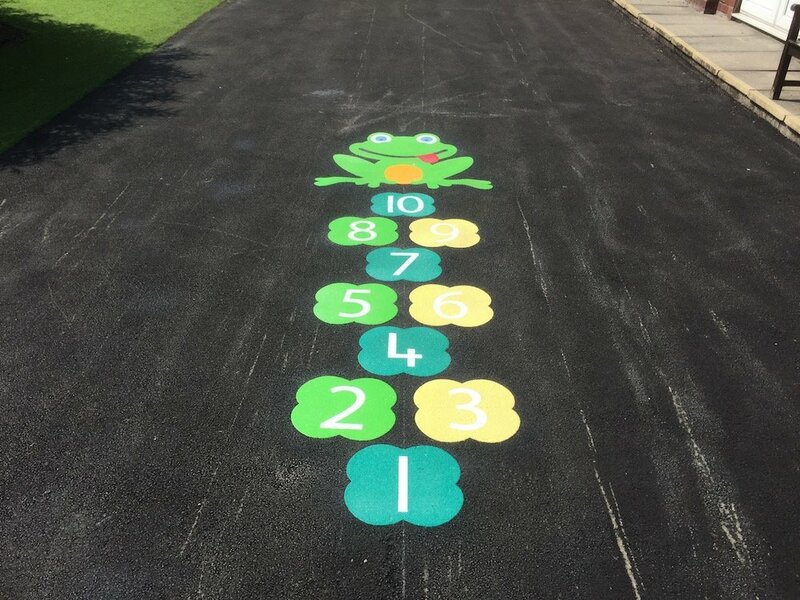 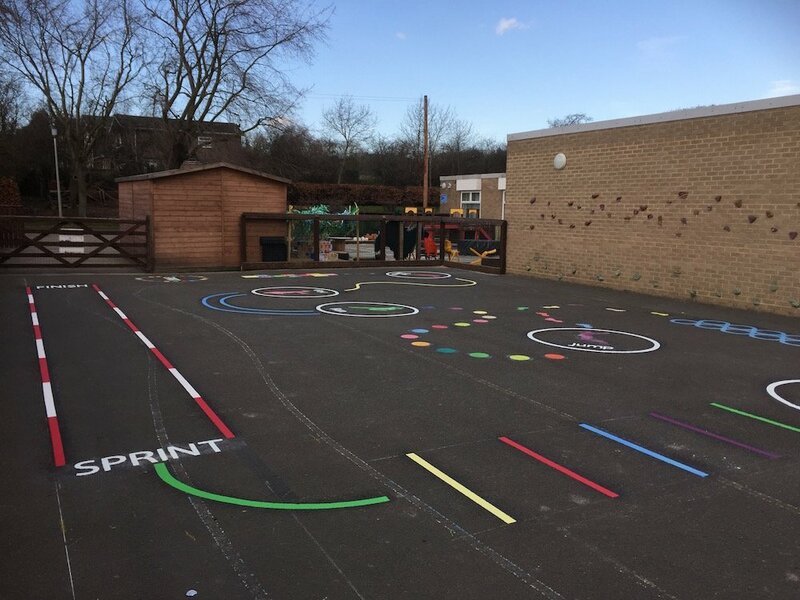 These Thermoplastic Playground Markings at Broomhaugh First School in Riding Mill, Northumberland, look great. 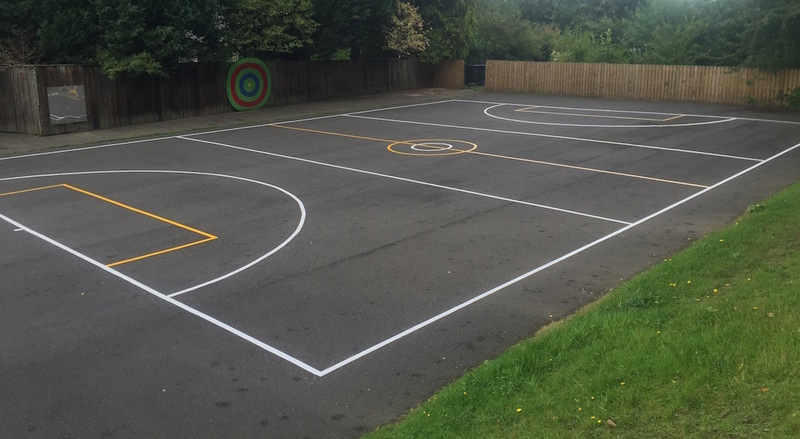 The markings included a bespoke 18m x 13m basketball and football multi-court. 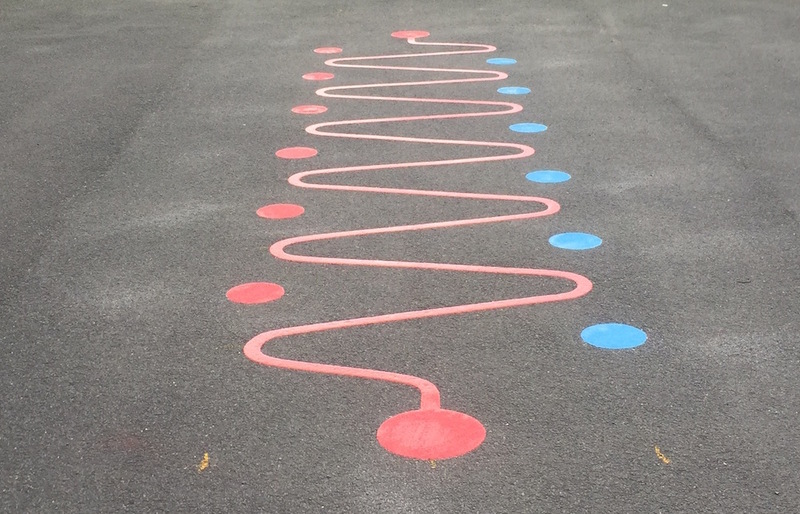 A Jump Line ball skill game for netball practice and a rocket hopscotch. 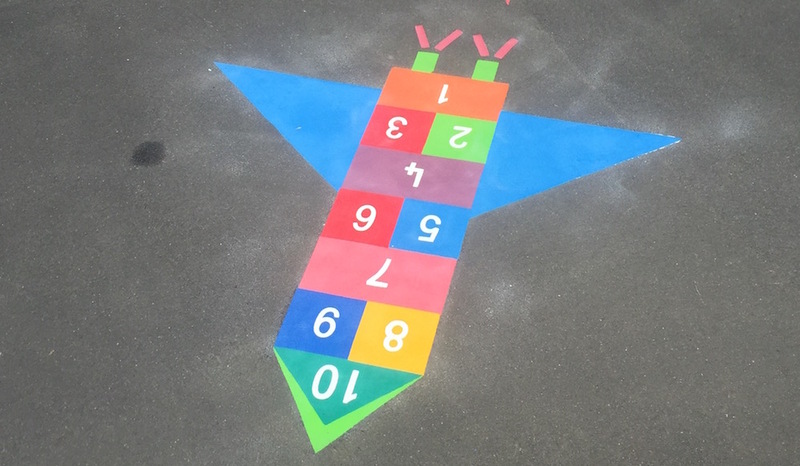 Revamped from an old marking.